Doing Mouse Click and other types of Mouse Clicking is now easy with Automator Action presented here. Apart from Mouse Clicking you can add Double Click, Mouse Scrolling, Mouse Dragging and Text to Voice Conversion with Automator Script. Recording of Actions in Automator works most of the time, however when it does not works you can use the Automator Mouse Click Action and complete your Automator Workflow. Bridging the gap between Automator supported Actions and actual Mouse Clicking as per screen co-ordinates is the task of this Automator Action. The Screenshot above displays all the Mouse and Keyboard Actions Supported. 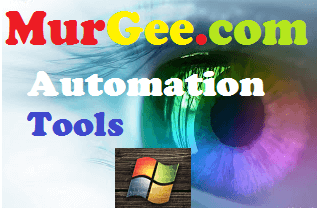 Irrespective of the type of Mouse Click to be done, all you need to do is add a single Action in the Automator Workflow and select the type of action you wish to be done. In few cases selection of Screen Location is not required and in case of Mouse Dragging you need to add two actions in the workflow. Another post in this blog titled Mac Automator to do Mouse Clicking describes the various steps required to add this custom built Action to workflow and accomplish all the automation you want to be done on your Macintosh.